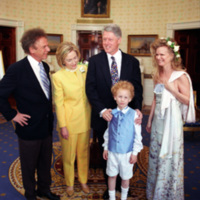 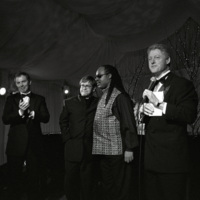 Location is exactly "White House, Washington, DC"
President Clinton and Prime Minister Tony Blair are joined on stage by Elton John and Stevie Wonder following their performance at the State Dinner for the Prime Minister. 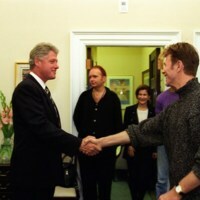 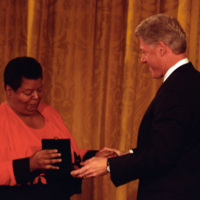 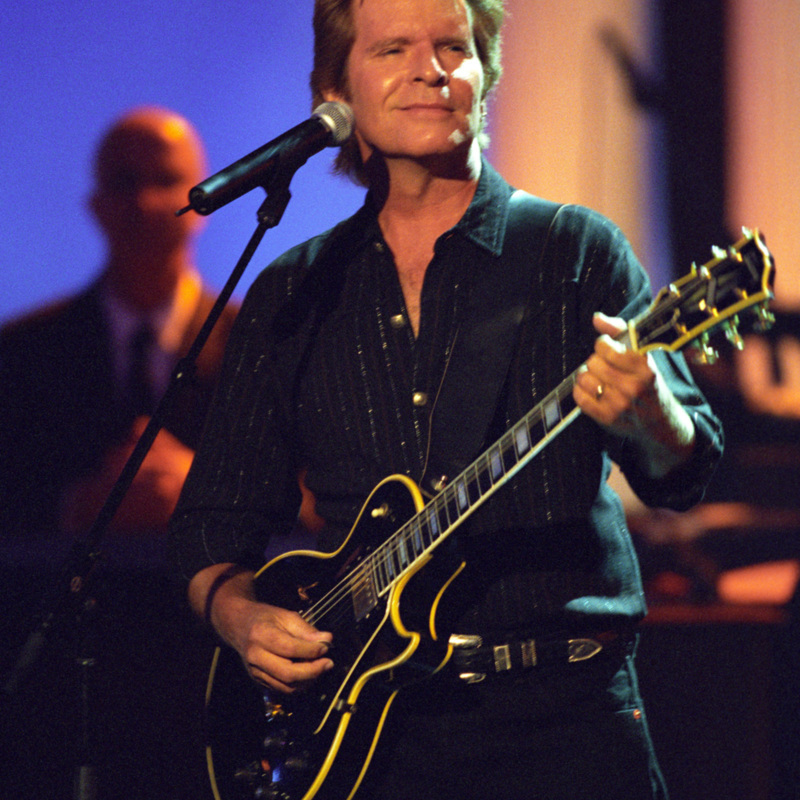 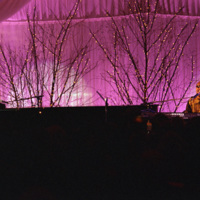 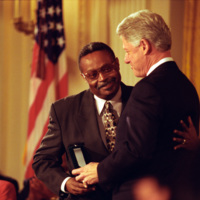 Elton John and Stevie Wonder both perform for President Clinton and Prime Minister Tony Blair and guests at the State Dinner for the Prime Minister. 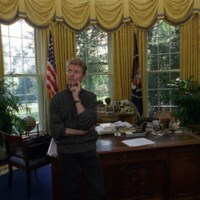 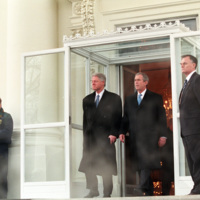 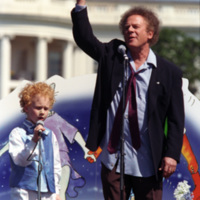 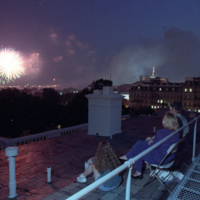 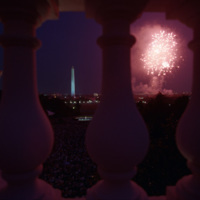 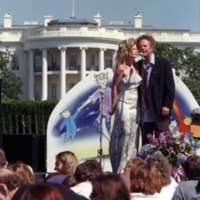 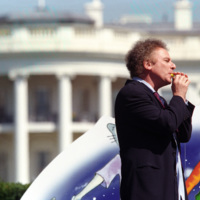 The performance took place in the West Terrace tent at the White House. 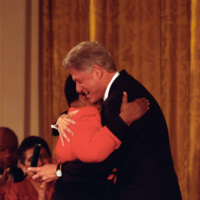 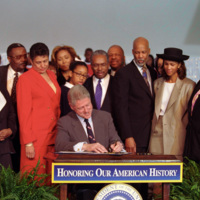 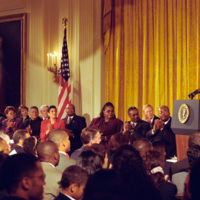 President Clinton delivers remarks in the East Room prior to his Radio Address. 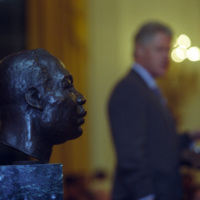 A bust of Martin Luther King, Jr. is on stage near the President.